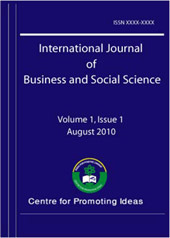 Purpose – The purpose of this study was to investigate the influence of transformational leadership on performance of telecommunication firms in Kenya. Further, the study sought to establish the mediating role of knowledge management in the relationship between transformational leadership and performance of telecommunication firms in Kenya. This study employed a questionnaire approach. The Sample for the study was drawn from a population of 404 Telecommunication firms registered by the Communications Authority of Kenya (CAK) as at June 2015. Regression analysis was used to test the hypotheses in a sample of 202 firms. The findings suggest that Transformational leadership has a direct and significant effect on firm performance. Transformational Leadership influences firm Performance directly and also indirectly through knowledge management.